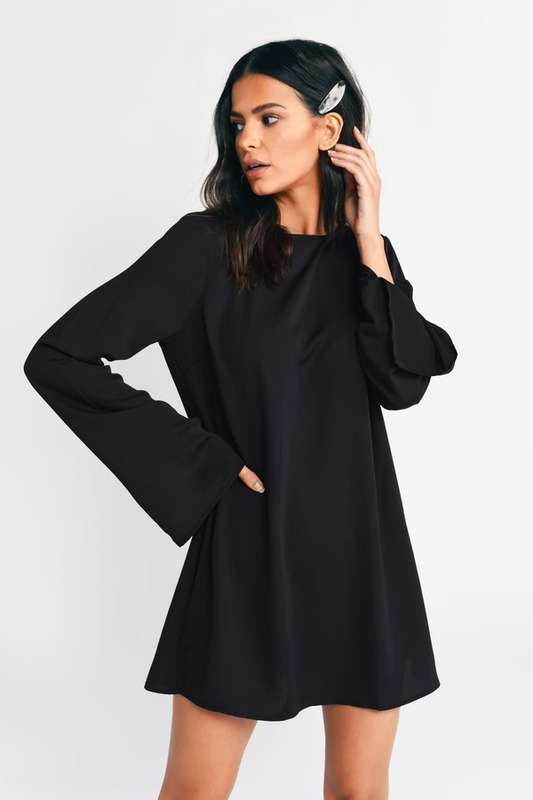 Check out Tobi's Ellie Shift Dress Go with the flow in the Black Ellie Shift Dress. This long sleeve shift dress features a sweetly tied upper bow on a revealing open back. Slits at the flared cuffs complete this bow back dress. Own it with trendy high heels and sparkly chandelier earrings. 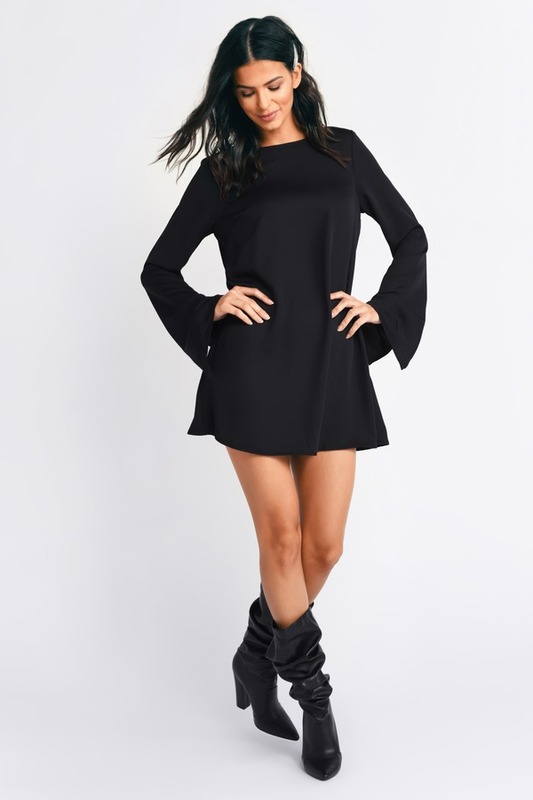 Go with the flow in the Black Ellie Shift Dress. 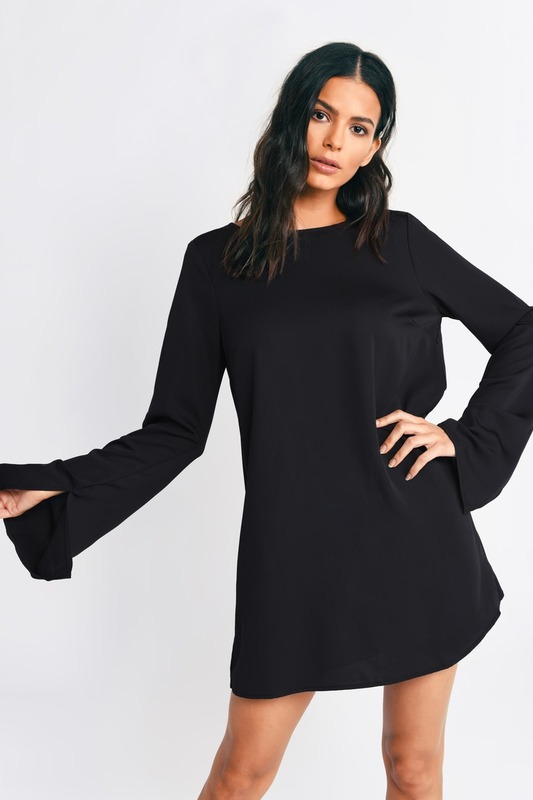 This long sleeve shift dress features a sweetly tied upper bow on a revealing open back. Slits at the flared cuffs complete this bow back dress. Own it with trendy high heels and sparkly chandelier earrings. Go with the flow in the Rose Ellie Shift Dress. This long sleeve shift dress features a sweetly tied upper bow on a revealing open back. Slits at the flared cuffs complete this bow back dress. Own it with trendy high heels and sparkly chandelier earrings. Go with the flow in the Wine Ellie Shift Dress. This long sleeve shift dress features a sweetly tied upper bow on a revealing open back. Slits at the flared cuffs complete this bow back dress. Own it with trendy high heels and sparkly chandelier earrings.